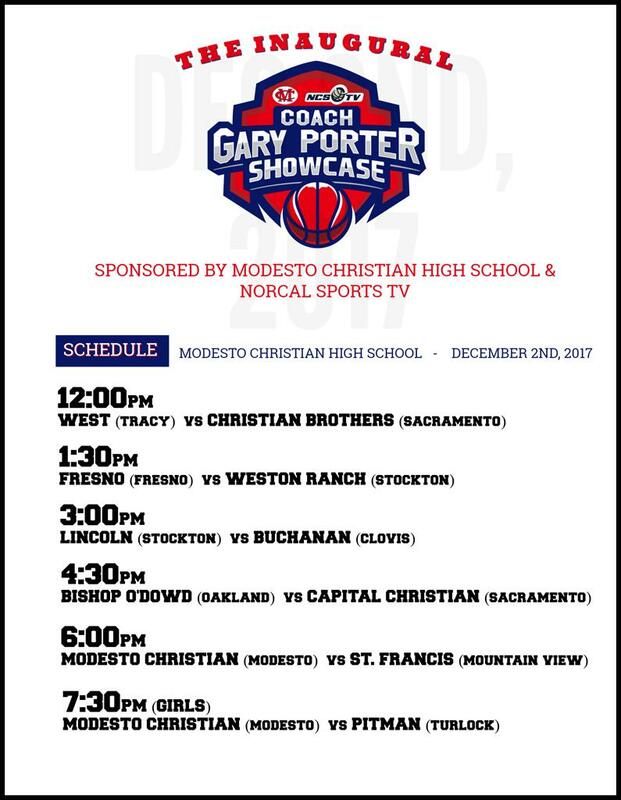 We are proud to bring the Inaugural Gary Porter Showcase sponsored by Modesto Christian High School and NorCal Sports TV on Dec. 2nd. This event will honor one of the best coaches in the history of Northern California high school basketball. Coach Porter coached 2 state championship winning teams (96' and 04') and also coached the 01' D1 state runner up team led by Chuck Hayes and Richard Midgley. They finished top 10 in the country that season and lost a close game to Mater Dei. Coach Porter retired with 502 wins and 18 section titles.